Owen Howard has performed and recorded with the likes of Joe Lovano, Kenny Werner, Tom Harrell, Kenny Wheeler, John Abercrombie, Dave Liebman, George Garzone, Dave Holland, Eddie Henderson, Sheila Jordan, Jay Clayton and many others. He has appeared on over forty recordings to date, including five under his own name, and has toured extensively throughout Europe, the United States and Canada. With more than twenty years of successfully leading his own bands, Howard is clearly an artist successfully following in the footsteps of legendary drummers/bandleaders such as Tony Williams, Peter Erskine, Billy Hart, Jack DeJohnette, Paul Motian, Al Foster, Shelly Manne and others. Drummer/Composer Owen Howard (b. June 13, 1965) began studying drums at the age of 15. As a young up and coming drummer in Edmonton, Howard had many opportunities to perform with many fine Canadian and international artists passing through town. In 1988 he received a study grant from the Canada Council for the Arts, which enabled him to move to New York to complete his BFA in Jazz from The New School. It was then that the drummer began to make his mark on the New York Scene. He currently has five recordings to his credit before his BJUR debut album 'Drum Lore'. Pentagon and Sojourn, on the Koch Jazz label, Days Before and After (co-lead with Andrew Rathbun on Fresh Sound New Talent), Time Cycles (Fresh Sound New Talent), and now, Drum Lore (BJURecords). In addition to his role as a leader, Owen Howard is an in demand sideman for many of the jazz's name players. Howard also has extensive teaching experience to his credit. He has been a faculty member at The Banff Centre International Workshop and has held guest professorships at St. Francis Xavier University in Nova Scotia and The University of Fine Arts in Berlin, Germany. He has conducted workshops and clinics in the United States, Europe and Canada. Owen Howard currently lives with his wife Kelly and son Cooper in Brooklyn, New York. 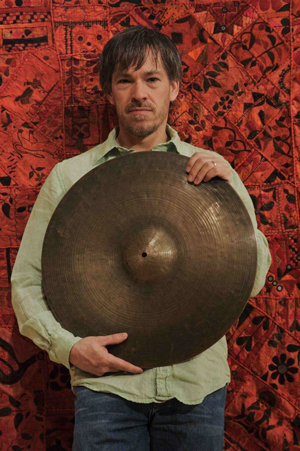 With the release of his seventh CD, Drum Lore Vol. 2 - More Lore, the follow up to the critically-acclaimed, 2011 Juno Award Nominated, Drum Lore (on BJURecords), Howard continues to celebrate and interpret music composed by drummers, and also feature more of his own compelling compositions. Where Vol. 1 was conceived as a studio recording of sorts, with each piece featuring a different configuration and concept, the second installment of the Drum Lore project gives the listener a taste of what the group sounds like in its working quintet format, featuring Adam Kolker (soprano & tenor saxophones, bass clarinet), John O'Gallagher (alto saxophone), Frank Carlberg (piano), Johannes Weidenmueller (bass) and the leader Owen Howard (drums). Drum Lore Vol. 2 offers up seldom heard originals by Philly Joe Jones and Joe Chambers, as well as popular works by Victor Lewis, Paul Motian and Tony Williams. The remainder of the recording is comprised of recent original compositions by the leader. Highlights include, "Hey, It’s Me You’re Talkin’ To", one of Victor Lewis’ most well known compositions; Joe Chambers’ "Ungano" (from the Bobby Hutcherson Blue Note album, Medina); "Haiku", a composition that Howard composed at the piano in about ten minutes. "After stating the 5-7-5-syllable form, the soloists are free to interpret at will. It’s quite different each time we perform it", said Howard; "Like Buttah", "my take on rhythm changes, which incidentally pays homage to Sonny Rollins’ 'Oleo' (which was a butter substitute back in the day)"; and "Got To Take Another Chance", "a fun little piece by Philly Joe Jones that is based on the chord changes of 'Take The ‘A’ Train'. I extracted the horn riff and ending bit from the Max Roach/Clifford Brown version of 'A Train' ( the record, A Study in Brown). I love Max’s train ending on that cut. Straight up fun!," said Howard; "Mumbo Jumbo" by the late great Paul Motian, and "Pee Wee" by the legendary Tony Williams. Owen Howard, originally from Edmonton, Canada, has performed and recorded with the likes of Joe Lovano, Kenny Werner, Tom Harrell, Kenny Wheeler, John Abercrombie, Dave Liebman, George Garzone, Dave Holland, Eddie Henderson, Sheila Jordan, Jay Clayton and many others. He has appeared on over forty recordings to date, including five under his own name, and has toured extensively throughout Europe, the United States and Canada. He is clearly an artist successfully following in the footsteps of legendary drummers/bandleaders such as Tony Williams, Peter Erskine, Billy Hart, Jack DeJohnette, Paul Motian, Al Foster, Shelly Manne and others, and now with the release of his sixth CD as a leader,Drum Lore (BJURecords), Owen Howard shines a spotlight on the composing talents of these exalted players. Drum Lore opens with the joyously swinging "Bulgaria" (Peter Erskine), with the melody stated by the tart, attention-grabbing sound of soprano and alto saxophones, provided by Andy Middleton and John O'Gallagher respectively, with Howard and bassist Johannes Weidenmueller burning underneath (as they do throughout the session). Few drummers can cover Tony Williams without falling just short in terms of intensity and originality, but Howard instantly renders Williams' "Arboretum" (from the album Foreign Intrigue") as a beautifully played tribute to the late, great master. Next up is the Billy Hart tune "Duchess", "from one of my favorite recordings of Billy's, Oshumare. Billy's tunes have a very strong and personal melodic quality to them, I find myself humming them often," explains Howard. One can always overhear musicians discussing the qualities of Hart's drumming, so it is especially important for people to realize what a gifted composer he is as well; Drum Lore exists to create that awareness of Hart and his colleagues, past and present, including Howard himself. Feeling that it would have been hypocritical to not include one of his own compositions, the album features "Roundabout", which he composed after listening to Miles Davis' "Circle In The Round". Other highlights on the recording include the emotive, haunting, but pretty Paul Motian tune, "It Should've Happened A Long Time Ago", of which Howard commented, "I'm quite fond of our rendition, I think we capture the spirit of the tune"; "Togo" by master drummer Ed Blackwell, which Howard arranges to incorporate three distinct time feels that Blackwell transitions to throughout his solo; and the first recorded composition from drummer/bandleader Shelly Manne, "Flip", from the album The Three and The Two. Drum Lorealso features compositions by Chick Webb, Al Foster, Denzil Best and Jack DeJohnette.